A crocheted basket makes a lovely home décor item to store toys, yarn, supplies or miscellaneous items in. Many crochet baskets using strips of fabric and crochet using a continuous round. The moss basket pattern is a round basket that is crocheted using 2 strands of worsted weight yarn together or a thick bulky yarn, and a K and L Crochet Hook. By doubling the yarn it makes the basket more sturdy. This easy to crochet basket pattern can be made in sizes ranging from 8” inches to 14” inches in diameter and can be as tall as you want it to be. Crocheted using the moss stitch creates a more woven look and changing the colors of yarn can provide a different look to the basket. 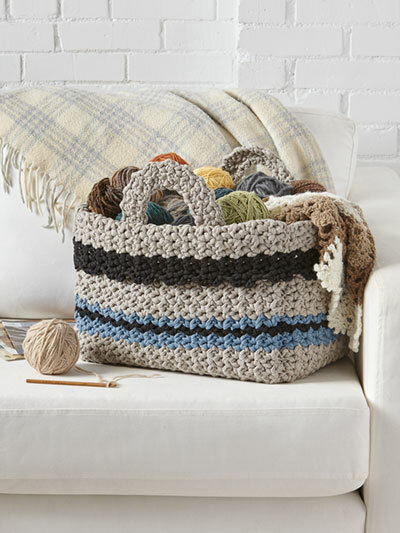 Once you crochet one of these easy baskets in one color you will want to crochet more for friends and family. The moss basket pattern is well written, easy to understand and follow and makes a great gift. Best of all you can download in PDF format for free and save it to your computer or print it out to keep with you while crocheting. Download the free Moss Basket Pattern here. Baskets can also be crocheted as squares, rectangles, and as stacking baskets. Here are a few select free basket patterns you may enjoy downloading. Round Crochet Baskets – Using Lily Sugar N Cream Super Size Yarn a pattern for a small, medium, and large basket. Nesting Baskets - A small, medium, and larger basket that nest inside one another. This beautiful free crochet pattern is easy to make and can be crocheted in a larger or smaller diameter. Wonderful for holding your items in and even your yarn! Use Worsted weight yarn doubled and choose whatever colors you want to crochet it in. 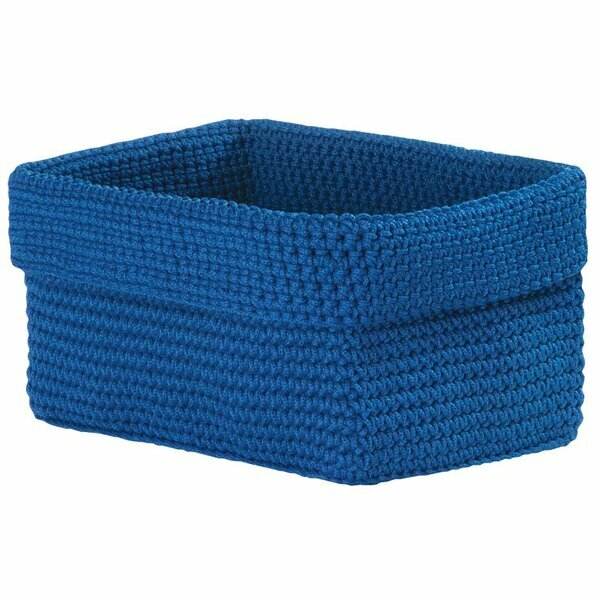 Crochet baskets can be used for storing toys, craft items, household products, prized possessions, books and more! These fun baskets made in different sizes are easy to crochet and are made usingRed Heart Super Saver Striping Yarn. This yarn stripes itself so there are few ends to weave in.